The Turkish press is reporting that Turkish intelligence is facilitating the crossing of a couple hundred paramilitary troops (Peshmerga) from Iraqi Kurdistan to the Turkish town of Suruç, 16 km from the Syrian border. 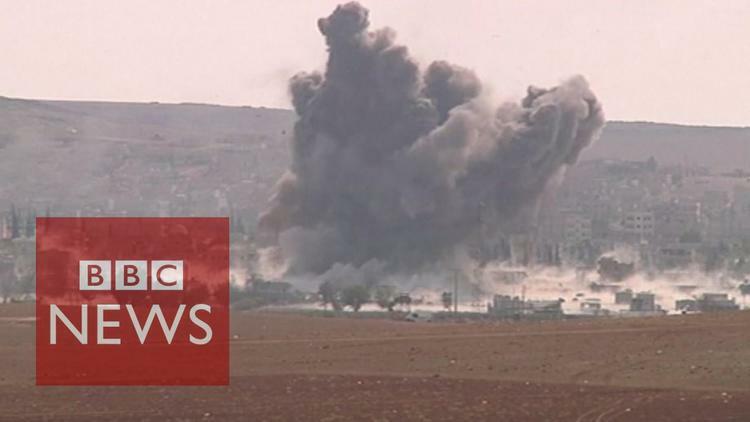 They intend to help relieve the besieged Kurdish-Syrian town of Kobane, which is being attacked by ISIL. The likelihood is that the real story is that Turkish intelligence is making sure that the Kurdistan fighters are Peshmerga, loyal to President Massoud Barzani of Iraqi Kurdistan, and not members of the Kurdish Workers Party (PKK), the leftwing separatist guerrilla movement in eastern Turkey itself. The Turkish government considers the PKK a terrorist organization and has fought it for decades, with both sides committing atrocities. Initially the PKK wanted to relieve Kobane, where the fighters are from a Syrian offshoot of the PKK. Turkey strictly forbade that, and did not seem very eager to help Kobane if the intervention would benefit the PKK and its Syrian counterparts. Iraqi Kurdistan has cultivated fair relations with Ankara and it is no longer seen as threatening by Ankara. Some 70% of investment in Iraqi Kurdistan is from Turkey, and the Iraqi Kurds appear to have promised Turkey oil exports on favorable terms. Iraqi Kurdistan is now Establishment, seen as stable and increasingly wealthy, in contrast to the rough separatist guerrillas of the PKK, who have in recent years attacked Turkish troops and other targets. Kobane is a small town wedged between ISIL-held al-Raqqah Province and the Turkish border and is virtually the last hold out of that Kurdish Syrian “canton.” It is a little unlikely that it can survive the ISIL onslaught for very long unless ISIL itself starts suffering setbacks in al-Raqqah, until recently its main power base. The Peshmerga relief force is an attempt to keep Kobane from falling and to establish it as a base from which attacks can be launched on ISIL-held villages in northern al-Raqqah, many of them Kurdish. Meanwhile, on Tuesday the US subjected ISIL tanks and armored vehicles to aerial bombardment outside Kobane.